If you are in Bandung, don’t forget to make a trip to this place, situ patenggang., A beautiful lake on the foot of Mount Patuha, one of the lovely resort in West Java. 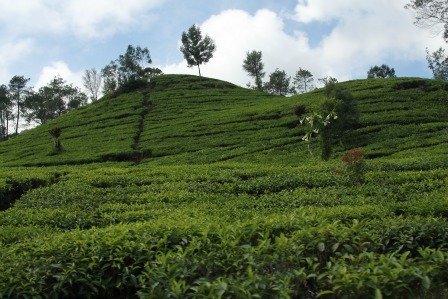 However that this place is less famous than tangkuban perahu because of the long trip to go there, around 47 km from Bandung to the south side through Soreang and Ciwidey and you have to go very early from Bandung, how about 5 o’clock in the morning to avoid the busy traffic? So wake up early (it’s good for you??) 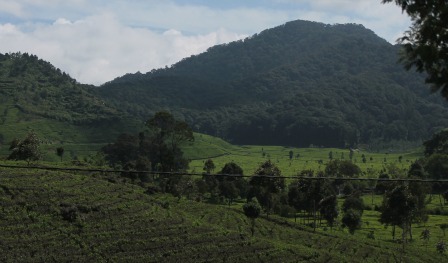 to enjoy a day between lush greeneries area of tea plantation. I mean seriously, as soon as you pass by the city the view underway would be amazing. 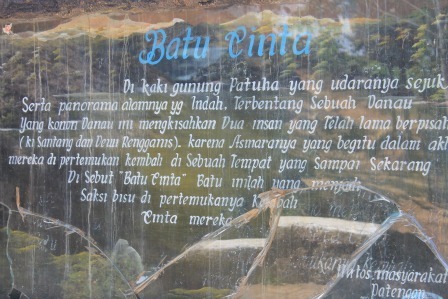 If you want to visit this place with their love stone, please visit the white crater (kawah putih) first. You have to pass this place first before you get in Situ patenggang. So why don’t you make one trip for a day for kawah putih and the lake of love at once. 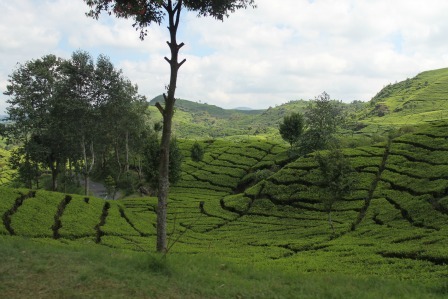 The view through the tea plantation is really worth of your time. I could make few photos underway. It’s best a good picture because the big bus that we use couldn’t drive so hard on the way up. It seems that the bus is too heavy with our big bodies, he he. But the picture, as you can see, it’s pretty good actually. So you have any idea how its look like the way to Situ patenggang. Great isn’t it? At the entrance you have to pay about IDR 15.000 for each person, about $ 1.5, it’s pretty cheap. 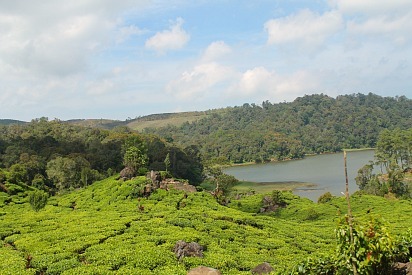 Before you’re arriving at this lake, you can already proof the beauty of this lake from far, its exquisite view, really. You can choose to peddle around the lake, rent a boat without the motor, so you can enjoy the lake much more because it’s really peaceful. 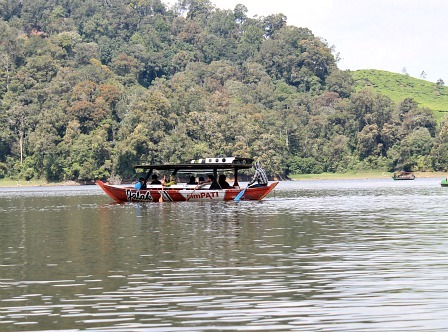 The boat cost you around IDR 300,000 about $30 for a trip around the lake, also visit the love stone. Visit the love stone, batu cinta, on the passion island, (pulau Asmara) you won’t be regret. There is a legend of this stone; you can read them by yourself. 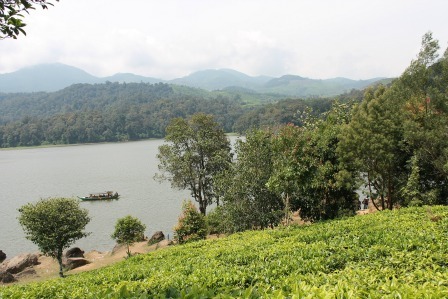 At the foot of Mount Patuha with the cool air and lovely view lie a lake with the story of two lover who have been separated for a very long time. Because of their love so deep they finally find each other again in this place. And this place called now the love stone. The view around this island is really beautiful. It's the perfect place for lover, of course. But also the perfect place to make great photos. We are certainly with the big family, no time for lover between us to spend the time together? But we have a good time around this island; sure we make enough photos, lovely pictures. I love it.